Saudi King Salman on Monday met with Turkish President Recep Tayyip Erdogan who arrived with his accompanying delegation to the capital Riyadh on the same day. The state-run Saudi Press Agency said that King Salman held an official talks session at the al-Yamamah Palace with Erdogan. The talks addressed bilateral relations, means of enhancing bilateral cooperation in various fields, and the developments on regional and international arenas, SPA reported. 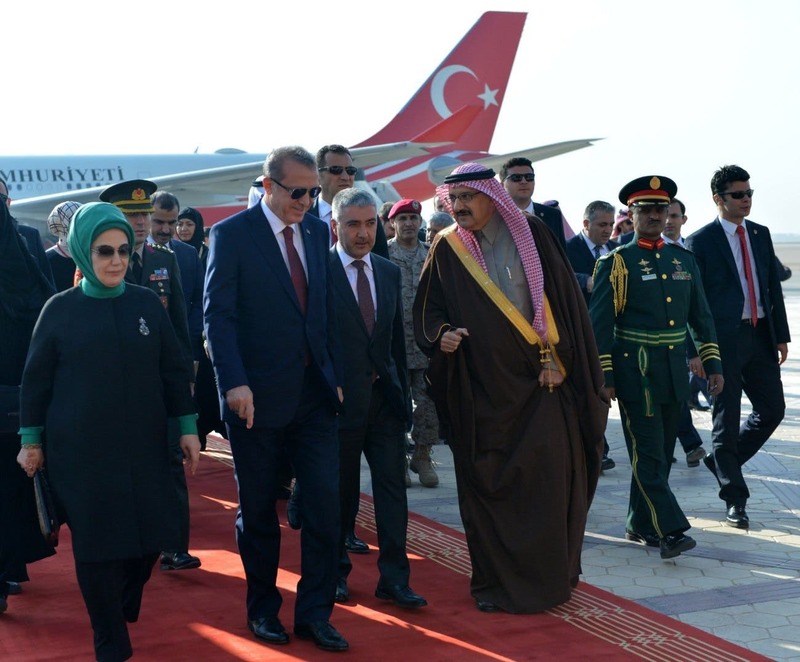 The agency added Erdogan’s talks with Salman were attended by other senior Saudi royals and officials, including the kingdom’s crown prince, the deputy crown prince, and the ministers of finance, foreign affairs and information. Erdogan’s delegation to Saudi Arabia includes the country’s ministers of economy, energy and foreign affairs. 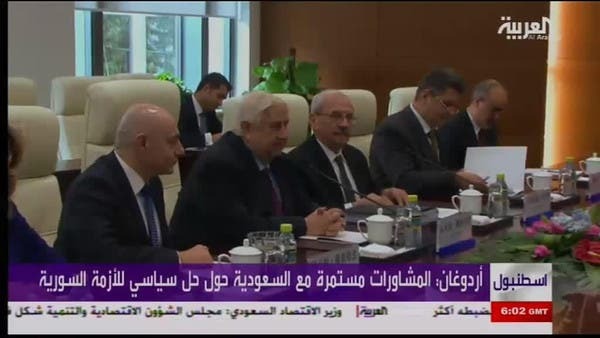 Erdogan said his government and Saudi Arabia are working “in solidarity and consultation” to find a political solution for Syria, as both countries push for an agreement that would remove Assad from power. Will Iran choose diplomacy over military fight in Syria?